As I’ve previously written, I had the opportunity to visit South Africa recently and meet with a number of executives at companies there, as well as talk to people and observe various trends. It’s important to note that we at Templeton Emerging Markets Group pursue an active, bottom-up approach to investing. Even if things look bleak overall in a country, there are always potential opportunities to be unearthed. If we believe a company’s fundamentals appear sound and long-term prospects bright, we will invest where we see value potential. With that in mind, I would like to outline some of the key issues South Africa’s economy is facing that we are watching as investors. One of the most important areas of concern in South Africa is education. Without an educated population, a country cannot progress not only in terms of economic development but also because of political development. In South Africa, just like in other parts of the world, parents have a strong desire to see their children progress and have a good life; hence, families are willing to make sacrifices for education. Unfortunately, the government has not been able to supply enough classroom spaces for those of school age and many existing government facilities in low-income areas offer poor-quality education. Part of the problem is tied to budget constraints, but there are also administrative and corruption issues. Corruption Watch, a non-government organization, said that between 2012 and 2015 it received more than 1,000 reports of school principals who had stolen cash from school bank accounts.1 It also reported school principal posts are so lucrative they are bought and sold. As a result of these problems, a thriving private-school market has emerged in South Africa. One private-school firm we visited had more than 100 schools and was expanding rapidly, with more new schools opening each year. Given capacity and quality issues in government schools, as well as a lack of schools in newly developing areas, middle-class families are seeking to enroll their children in lower-cost private schools in greater numbers. The school personnel we spoke with said even poor parents would sacrifice a substantial portion of their income to send their children to these schools, in an attempt to get them the best education possible. Some of the families lived in wood and corrugated steel shacks with no running water or inside toilets. The firm’s management has been working on a “plug-and-play” model where schools can be established all over the country with a centralized head office that manages information technology, curriculum materials, site locations and overall management. Also looking at the government schools, I learned the range of quality varies greatly. Driving through one of the high- income neighborhoods of Cape Town, I saw a beautiful school with excellent buildings and all kinds of sport facilities. I learned students attending that school scored among the highest in academic standards in the country. However, other government schools have overcrowding and very low standards. A school’s local governing body can charge additional fees to students to maintain certain standards, facilities, etc., which means the quality of education is better in wealthier neighborhoods, where families can afford high fees, than in poor neighborhoods where families can’t. At government schools, teacher quality and training is seen as a problem, and apparently, it’s not uncommon to find teachers with only a 10th-grade education themselves teaching students in grade 12. This is a legacy of the so-called “bantu” education system during apartheid years, which neglected teacher training for the black population. With the tremendous influence that education has on unemployment and economic advancement, we hope that this area sees some progress so even underprivileged children have access to a good education. A major challenge and opportunity for South Africa is immigration from other parts of Africa, with refugees seeking asylum from persecution or simply trying to find a way to make a living in one of Africa’s richest economies. This includes many illegal immigrants. Competition for jobs means tension and violence between the refugees and local communities—along with poverty and crime. Middle- and upper-class South Africans are major clients for security services and gated communities. While it’s difficult to make direct comparisons, the private security industry in South Africa—with some 9,000 registered companies and more than 400,000 private security guards—is among the world’s largest on a per-capita basis and employs more than the local police.2 However, crime cannot be attributed only to immigrants and a general lack of law enforcement is also a factor. Immigration can have a positive impact and, as we have seen in other parts of the world, immigrants have made tremendous contributions to the economy and culture of the countries they have entered. The importance of African neighbors is highlighted when we look at southern Africa’s electric power situation. Situated adjacent to Namibia, Mozambique, Botswana and Zimbabwe, South Africa has the advantage of sharing power resources with those neighboring countries. In Zimbabwe, a huge power plant built on a gorge of the Zambezi River supplies power to South Africa in times of shortages, while South African excess capacity is supplied when its neighbors face shortages. The government’s Black Economic Empowerment policies have drawn criticism from some economists, because although it has resulted in some individuals becoming wealthy, it has not addressed the broader masses. Nevertheless, black empowerment is a key government initiative. Restrictive labor regulations and a lack of skills and educational development have contributed to large-scale unemployment, which remains problematic. Several challenges have plagued the South African mining industry in particular over the past few years—a key driver of the country’s economy. Besides declining commodity prices, labor union rivalry escalated labor issues, resulting in one of the more prolonged and violent strikes in the country’s history. Various labor-related issues, including onerous regulations and weak commodity prices saw some mining companies sell off less profitable operations and pursue layoffs where they were allowed, but an uptick in metals prices could aid the sector and help drive better economic growth this year. Land reform has been a crucial topic since the end of apartheid. In 2015, President Jacob Zuma said he was seeking a ban on foreign land ownership, as well as limiting the total area of land holdings to 12,000 hectares per individual of any nationality. The government planned to purchase excess land above this limit and redistribute it. In 2017, Zuma said he would speed up the land reform program. The method of execution was to be the Expropriation Bill, but the Constitutional Court halted the land reform process for 18 months. The court said Parliament had to fix the Land Restitution Bill first before it could start allowing new land claims. The bill was passed into law in 2014 and allowed people who missed a 1998 deadline to lodge land claims. South Africa’s government estimates it would require between US$9 billion and US$13 billion to settle new land claims. The proposed law will probably have the greatest impact on commercial farmers, with a presidential spokesperson clarifying that the bill would be applied to agricultural land, not residential property. This includes local farmers, for whom limiting the land area of holdings would probably narrow the scope for economies of scale, if there is no distinction between grades of agricultural land. Apparently, the bill’s introduction by the governing African National Congress (ANC) was designed to meet the criticism of the radical left Economic Freedom Fighters (EFF) who were pushing for expropriation of land without compensation because of the failure of the government’s “willing-buyer willing-seller” model. To date, the ban on foreign land ownership or the limit of 12,000 hectares has not come into effect. The EFF was also calling for mine expropriations, but the ANC stopped it. The South African state owns about 700 firms, including railways, ports and a whole range of companies operating in various industries which are called “parastatals.” Pay for civil servants has increased much faster than inflation, and perks for high-ranking government ministers have increased rapidly as well. Naturally, the result is that everyone wants to work for the government and some observers say government payrolls have become too bloated. State-owned enterprises have also become increasingly inefficient and have been subject to mismanagement, thus putting a strain on government finances. Privatization is one solution to addressing corruption and inefficiencies in the parastatals, which would result in greater transparency and adherence to profit targets. Fears of job losses have caused opposition to this approach. However, we have seen evidence that some steps are being taken to improve the performance of state-owned companies, including the hiring of outside consultants in some cases, to help find ways to boost revenue, including restructuring. The appointed consultants aren’t without critics though. Nelson Mandela’s first speech as a free man was made from the balcony of Cape Town City Hall. At the trendy Victoria and Alfred Waterfront are statues of South Africa’s four Nobel Peace Prize winners: Albert Luthuli, Desmond Tutu, F. W. de Klerk and Nelson Mandela. Unlike other parts of the country the ANC has dominated, the Democratic Alliance (DA) controls the Western Cape, winning an outright majority in the 2011 elections and putting Helen Zille, the then-leader of the DA, as the premier of the province. 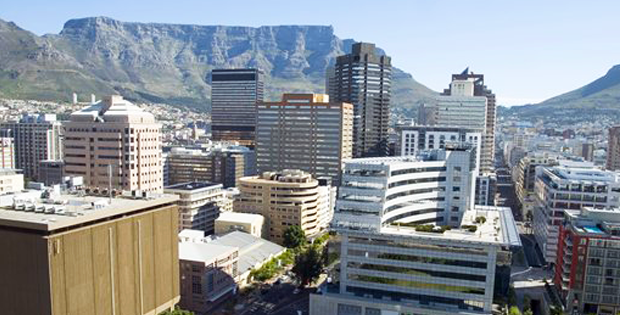 Cape Town has been growing at a good pace because of the booming flow of tourists attracted to its famous beaches and attractions. The city’s technology industry is also enjoying a boom. On my visit to Cape Town, crowded shopping centers were an indication that tourism was alive and well. It was difficult to find restaurants with available seats. Prior visa restrictions were a major barrier for many foreign tourists, but the elimination of more onerous policies helped revive the tourist flow. I personally found the entry process to the country easy. When I landed at Cape Town airport, I didn’t have to complete an immigration form and simply handed my passport to the immigration officer who looked at it, scanned it, then gave it back to me with a smile. I was on my way quickly. Despite all the political and economic challenges facing South Africa, the people’s desire for a better life with better education for their children, strong domestic institutions, full employment opportunities and faster economic growth means that the future can be much brighter. While progress has been slow, we do see signs that some of the factors constraining growth in 2016 may be improving, including a rise in commodity prices globally and ebbing of crippling worker strikes in the country. We must not forget that South Africa is an important economy in terms of consumption and production (particularly in minerals) and that many South African companies have operations throughout Africa. That broad exposure to the continent opens up tremendous opportunities in our view, as Africa has some of the fastest-growing economies in the world. Even though per-capita incomes are low now, that means starting from that low base, growth rates could be remarkable. And in many cases, that means opportunities for South African companies will open the door to further growth, too. South Africa has a lot to celebrate. It successfully ended apartheid, launched a democratic government with national participation and avoided the mass chaos that has afflicted other African countries transitioning from colonial to democratic control. The challenge now is to continue to pursue the economic and political conditions that will spread the wealth throughout the population and provide an example for the rest of Africa and the world. Mark Mobius’s comments, opinions and analyses are for informational purposes only and should not be considered individual investment advice or recommendations to invest in any security or to adopt any investment strategy. Because market and economic conditions are subject to rapid change, comments, opinions and analyses are rendered as of the date of the posting and may change without notice. The material is not intended as a complete analysis of every material fact regarding any country, region, market, industry, investment or strategy. All investments involve risks, including the possible loss of principal. Investments in foreign securities involve special risks including currency fluctuations, economic instability and political developments. Investments in emerging markets, of which frontier markets are a subset, involve heightened risks related to the same factors, in addition to those associated with these markets’ smaller size, lesser liquidity and lack of established legal, political, business and social frameworks to support securities markets. Because these frameworks are typically even less developed in frontier markets, as well as various factors including the increased potential for extreme price volatility, illiquidity, trade barriers and exchange controls, the risks associated with emerging markets are magnified in frontier markets. Stock prices fluctuate, sometimes rapidly and dramatically, due to factors affecting individual companies, particular industries or sectors, or general market conditions. 1. Source: Corruption Watch, “Loss of Principle,” October 2015. 2. Sources: Private Security Regulatory Authority 2013–2014 annual report; International Trade Administration; the Graduate Institute of Geneva Small Arms Survey 2011. Receive blog updates directly in your inbox. You can check the background of your US investment professional on FINRA’s BrokerCheck. Your comments are welcome, although we won’t be posting them just yet. However, they will be read and will help guide future topics. So please, continue to send them my way. NOTE: Never include account or personal financial information in your comments. The author’s comments, opinions and analyses are their own personal views and are intended to be for informational purposes and general interest only and should not be construed as individual investment advice or a recommendation or solicitation to buy, sell or hold any security or to adopt any investment strategy. It does not constitute legal or tax advice. The information provided in this material is rendered as at publication date and may change without notice and it is not intended as a complete analysis of every material fact regarding any country, region, market or investment. Reliance upon information in this posting is at the sole discretion of the viewer. Please consult your own professional adviser before investing. All investments involve risks, including possible loss of principal. Generally, those offering potential for higher returns are accompanied by a higher degree of risk. Stock prices fluctuate, sometimes rapidly and dramatically, due to factors affecting individual companies, particular industries or sectors, or general market conditions. Bond prices are affected by interest rate changes. Bond prices, and thus a bond fund's share price, generally move in the opposite direction of interest rates. As the price of bonds in a fund adjusts to a rise in interest rates, the fund's share price may decline. High-yield, lower-rated ("junk") bonds generally have greater price swings and higher default risks. These securities carry a greater degree of credit risk relative to investment-grade securities. Special risks are associated with foreign investing, including currency fluctuations, economic instability and political developments. Investments in developing markets involve heightened risks related to the same factors, in addition to those associated with these markets' smaller size, lesser liquidity and lack of established legal, political, business and social frameworks to support securities markets. Smaller, mid-sized and relatively new or unseasoned companies can be particularly sensitive to changing economic conditions, and their prospects for growth are less certain than those of larger, more established companies. Historically, these securities have experienced more price volatility than larger company stocks, especially over the short-term. Derivatives involve costs and can create economic leverage in a portfolio which may result in significant volatility and cause such fund to participate in losses on an amount that exceeds its initial investment; such fund may not achieve the anticipated benefits, and may realize losses when a counterparty fails to perform as promised. These and other risks pertaining to specific funds, such as those involving investments in specialized industry sectors or use of complex securities, are discussed in each fund's prospectus. Tweets are not intended as a complete analysis of every material fact regarding any country, region or market. All tweets are rendered as of the date of the posting and may change without notice. Please consult your professional advisor for information on the availability of products and services in your jurisdiction. Franklin Templeton Distributors, Inc. is the principal distributor of Franklin Templeton Investments’ US registered products, which are available only in jurisdictions where an offer or solicitation of such products is permitted under applicable legislation. Products, services and information may not be available in all jurisdictions and are offered outside the US by FTI affiliates and/or their distributors as local laws and regulation permit. Please consult your own professional adviser for information on availability of products and services in your jurisdiction.